Local economic developers say they’re worried that Michigan isn’t spending enough on incentives to compete in the increasingly expensive fight among the states for jobs and business investment. Gov. Rick Snyder’s administration has ended the state’s practice of handing out expensive business tax credits, which cost the state nearly $1 billion a year, in favor of a $100 million deal-closing fund that gives up-front cash and loans to companies that add jobs. Several local economic developers said they’re afraid the money could run out long before the state’s fiscal year ends on Sept. 30. 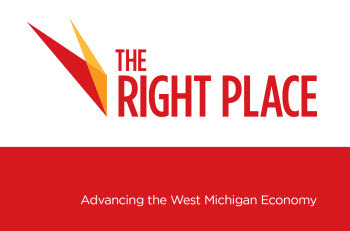 “I’m not sure $100 million for a state of our size is competitive in the market and with the rest of the country,” said Birgit Klohs, president of The Right Place in Grand Rapids. Klohs praised the Snyder administration for improving the business climate by cutting taxes, restructuring the state budget, and providing services to small businesses and entrepreneurs. But she said Michigan’s economic development incentives could come up short against states that are spending more, and doing such things as offering free land, buildings and job training to lure business investment. Michigan has spent $16.4 million in grants and loans from the Michigan Business Development and Michigan Community Revitalization programs since the start of the current fiscal year on Oct. 1. Those programs replaced the state's business tax credits. But local economic developers say spending could rapidly increase as the economy improves and businesses step up expansion over the next year. Ron Kitchens, president of Southwest Michigan First, a regional economic development agency in Kalamazoo, said the demise of the popular Michigan Economic Growth Authority tax credit program hasn’t hurt his local economic development efforts — yet. “We haven’t lost a project in the last year because the incentives haven’t been robust enough,” Kitchens said. But Kitchens said there is a perception among site selection consultants that Michigan isn’t competing as much for jobs and business investment as it has in the past. Ron Pollina, chairman of Pollina Corporate Real Estate in Chicago, is one of those consultants. He said Michigan comes up short in some incentives, such as tax abatements and job training. He also said that Michigan doesn’t act fast enough on incentive requests, noting that the Michigan Strategic Fund board that approves incentive applications meets just once a month. But Kitchens said the Strategic Fund and the Michigan Economic Development Corp., which manages the incentive programs, are pushing applications through the system much faster than in the past. “We couldn’t be happier on the speed” of the MEDC’s response to incentive requests, he said. JoAnn Crary, president of Saginaw Future, a regional economic development agency, said Michigan now has more customized incentives, including those in the 21st Century Jobs Fund, that are effective in meeting the needs of growing businesses. The Snyder administration has added a number of new financing and support services in the Jobs Fund aimed at helping entrepreneurs grow their businesses. Those programs include management consulting services, support for business incubators and various business-financing programs in conjunction with banks, nonprofit groups and venture capital firms. Pollina praised the administration’s efforts to grow jobs from within the state. Kitchens said one area where incentives are lagging is in job training. Companies are looking to hire works who can hit the ground running, but don’t have time or the financial resources to train them. Many companies are facing a shortage of skilled workers, especially in such areas as tool-and-tie makers, and are seeking job training assistance. “That’s what keeps me up at night,” he said. Snyder has said he views economic development incentives as appropriations. Businesses and economic developers can go the Legislature and ask for more money if the state’s $100 million runs dry, he has said. Local economic development officials say they likely will do just that if the fund is depleted. As someone who has built a business in Michigan without handouts I believe the strongest incentive for new businesses is the business climate in Michigan. Let's finish business tax reforms, implement right to work, make a commitment to following through on regulatory reform recommendation of the ORR and eliminate local zoning restrictions. Give struggling local businesses the climate to succeed and we will reinvent the Michigan economy internally without picking winners and losers through special handouts to outside entities. Donald Coe: Are you saying local units should not be allowed to enact zoning laws, or are you talking about something more narrow in scope?